At CES, the Verge's Nilay Patel interviewed Vizio CTO Bill Baxter, who told her that when it comes to the surveillance features of his company's "smart" TVs, "it’s not just about data collection. It’s about post-purchase monetization of the TV...[When it comes to 'dumb' TVs,] we’d collect a little bit more margin at retail to offset it." The remarks come in the context of the low margins in the TV market, which Baxter gives as 6%, and how companies like his are driven to seek out other revenue streams for their products. But Baxter also implies that he doesn't believe there's a market for dumb TVs, even at a premium. This is certainly what I discovered last year when my family bought a house and went TV shopping: there were no panels large enough for my wife's satisfaction (she's a retired pro gamer and wanted a really big screen) unless we were willing to buy a set with several kinds of built-in networking and sensors that would put our home under surveillance. In theory, you can turn all that stuff off, but then you have to trust that the manufacturer is both honest and competent, both of which seem like needless risks to take, especially in an era when companies face virtually no liability for product defects, routinely cover them up, and threaten whistleblowers who disclose their sneaky data-collection and poor software quality. Q. 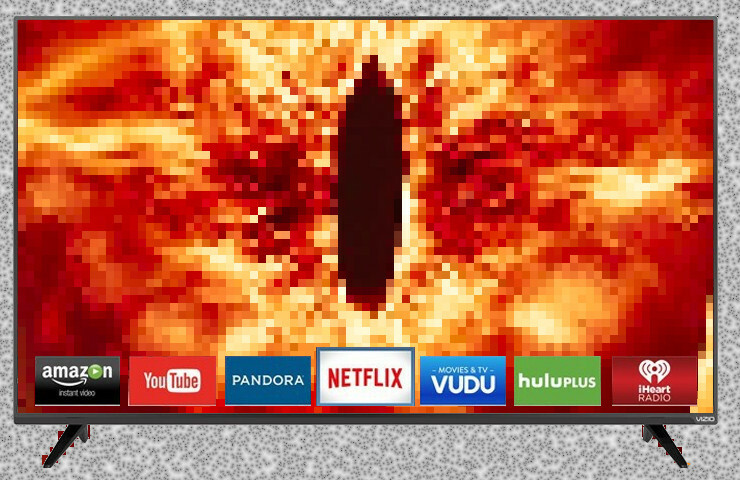 One sort of Verge-nerd meme that I hear in our comments or on Twitter is “I just want a dumb TV. I just want a panel with no smarts and I’ll figure it out on my own.” But it sounds like that lifetime monetization problem would prevent you from just making a dumb panel that you can sell to somebody.